At some point in life, you might find yourself faced with a dental problem that requires oral surgery. 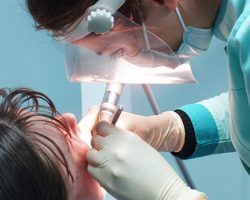 Whether you need to prepare your jawbone for dental implants, or you need to have your wisdom teeth removed, oral surgery may be the ticket to preserving your healthy smile! That’s when you should turn to our team at Times Square Dental in Boise, ID to make sure your procedure goes well, treats the problem, and keeps your mouth healthy. Here are five helpful tips that will make for an easier oral surgery and smoother recovery! Many times, it’s helpful for patients to go ahead and arrange for someone to drive you to and from your appointment on the day of surgery. That’s because you’ll likely need to take some sort of sedative that will impair your driving. Err on the side of caution and make sure someone is there to support you. Don’t dismiss the instructions given to you by Dr. Hastings or Dr. Dial before your procedure. They will contain important steps to take leading up to your surgery and for your recovery. This will help you prepare appropriately. Waiting until the day before your appointment might make it difficult for you to reach us for clarification or head to the store or pharmacy for needed supplies or medications. You’ll definitely want to feel as relaxed as possible the day of your surgery, so arrive wearing comfy clothes! The only thing to make sure of is that you’re not wearing anything that’s too big and baggy, because one of our staff members might get caught on the fabric as they’re trying to work. Clothes that fit well, yet feel comfortable will ensure a smoother, safer experience. Everyone’s needs will be different, so depending on your specific procedure, you’ll need to be well stocked with the right foods. Make list before you head to the grocery store in the days leading up to your surgery that includes, soft, bland foods that won’t interfere with your healing process. Soups, pudding, yogurt and other foods that are easy to eat will make recovery much easier and more comfortable. You’ll want to make sure you’ve prepared ways to keep yourself entertained throughout your recovery. That might require you to create an easily accessible station near the bed or couch stocked with your phone, electronics and charges, and any other books, magazines, and movies to keep yourself occupied. Don’t make things harder on yourself by having to keep getting up searching for things to do. Schedule Your Oral Surgery Now! In the Boise, ID area, there’s only one dentist you should trust with your oral surgery. That’s our team at Times Square Dental! We’ll make sure you understand all the steps of the process and that you’re comfortable all along the way. Getting the treatment you need is paramount to your dental health, so you can rely on Dr. Hastings and Dr. Dial, as well as the rest of our caring staff, that you feel relaxed before, during, and after your visits with us! Call Times Square Dental today at 208-278-1069 fill out our convenient online form to schedule your surgical procedure.